The earliest embryophytes made the transition from water to land. 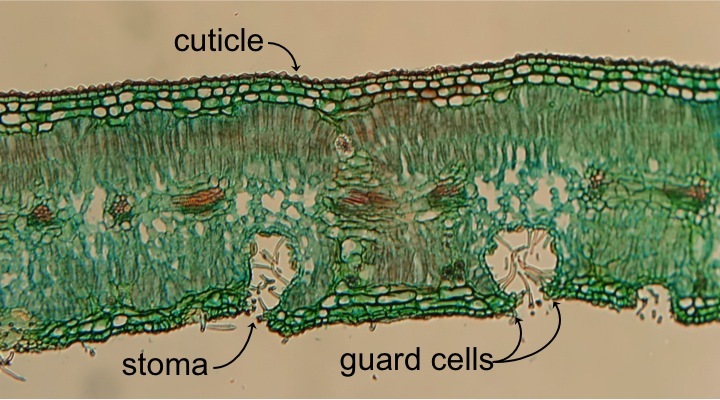 This transition required three important morphological adaptations: the cuticle, guard cells, and spores. Photo: Lord of Konrad 2010. Source: Wikimedia Commons. Plant spores have an extremely hard outer coating to resist dehydration. Photo: Aerobicfox 2012. Source: Wikimedia Commons.